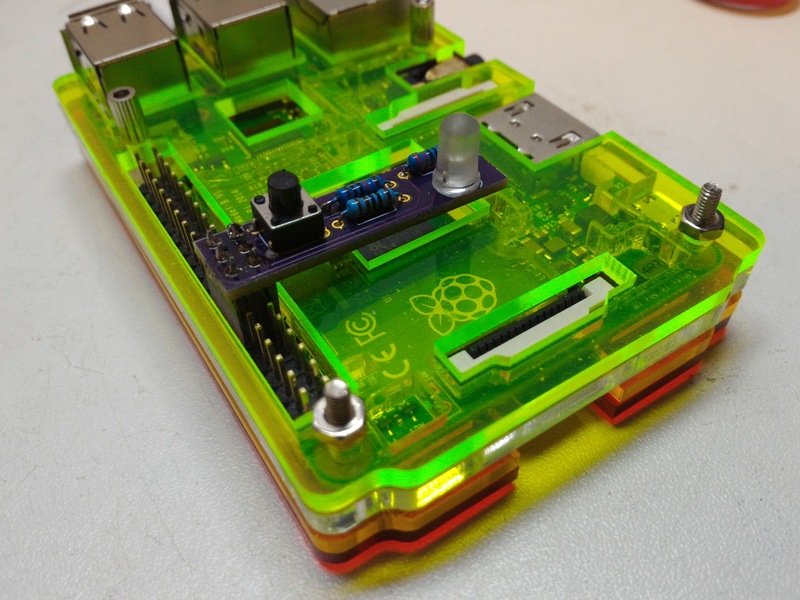 The one bug bare about running a ‘headless’ raspberry pi is shutting it down when something goes wrong. I started looking into what other people had done, I quite liked the look of the turnoffeepi but hated how it covered valuable I2C pins. 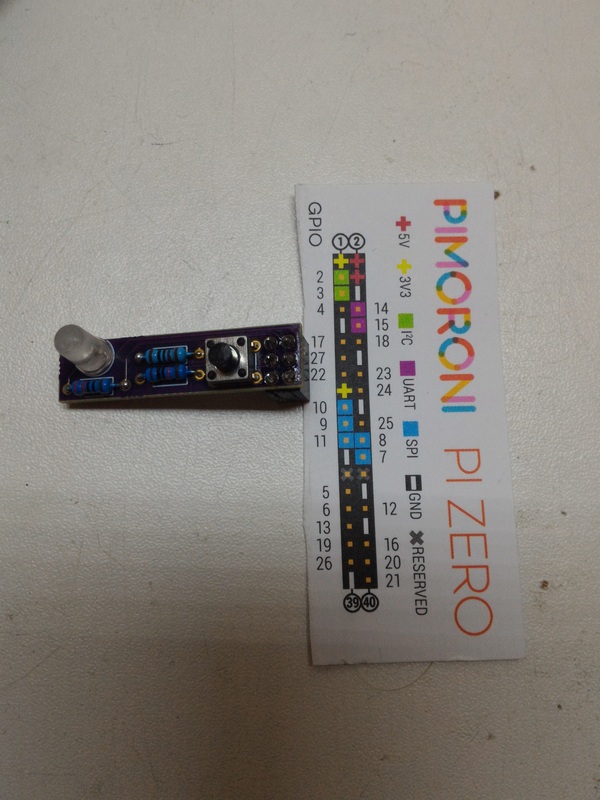 As you can see from the schematic below I’ve used a pull up resistor for the button attached to pin 23 and a led paired with a 220 Ohm resistor attached to pin 22. A very simple circuit. I looked at the turnoffee pi and reversed engineered the way it worked from the video. I did try and find the turnoffee pi script but I couldn’t find it anywhere. Its a really simple python script that looks for a interrupt on pin 23, This is to cut down on CPU cycles. Aug 18 08:25:56 raspberrypi systemd: Unit pishutdown.service entered failed state. Aug 18 08:25:57 raspberrypi systemd: pishutdown.service holdoff time over, scheduling restart. Aug 18 08:25:57 raspberrypi systemd: pishutdown.service start request repeated too quickly, refusing to start. Aug 18 08:25:57 raspberrypi systemd: Failed to start pishutdown.service. Aug 18 08:25:57 raspberrypi systemd: Unit pishutdown.service entered failed state. I tried setting the permissions of the shutdown dir to 777 and I also tried doing a sudo systemd daemon-reload before enabling. Any ideas what could be going wrong? I figured out why. The “code below” is not formatted properly. The indentation is lost in the python file with the code plugin that displays it. I was too quick to copy paste without checking the code! So sorry about that, I will have to have a look at my formatting. Thanks for bring it to my attention. Glad you got it running in the end tho. Did you get some boards made or did you use jumpers and a bread board? I sure did! I was thinking “this would be a lot better with SMD, but I’ll just give this a shot for fun.” Then when I was looking for the code again, I saw you already had a version two! Ha. This was my second open source board from OSH that I assembled. The first was a Microview Gameboy-like board called MicroJoy. Instead of soldering it on permanently, I used a female stackable ISP header because it fit perfectly. Don’t really have a use for the stackable part, but it’s nice to have it removable. What would it take to keep the light on a little longer until the pi is completely off? I’m considering that question, and how to add a switch of some nature to allow switching back on when used it a mobile application with a battery. Wow I think your the first person I know of that has made one of my boards. Sorry you didn’t see the version 2 before making the first. The version 2 is a lot smaller and is great for the pi zero. I think the pi turns the led off as it goes through its shutdown sequence but I’m not 100% sure on that one. I’m lucky then! The board works great. I need to check out how you implemented the SMD 2.0 version. I am guessing that since the script is having the Pi turn on your board’s LED, that the script is stopped at some point during the shutdown procedures. This is why the LED turns off before the Pi’s LEDs indicate that the shutdown is complete. Do you know what the unmarked exposed copper is on the back of the Pi3 near BCM 27? Thanks for the tips and the board! Yeah the pi kills the power to GPIO when going thought the shutdown sequence. Ok, so maybe the LEDs wont draw too much then. So I was curious the other night and I checked the voltages on gpio pins after shutdown but it still plugged in. I found many pins that still held 3 and 5v at that stage. What does that indicate? 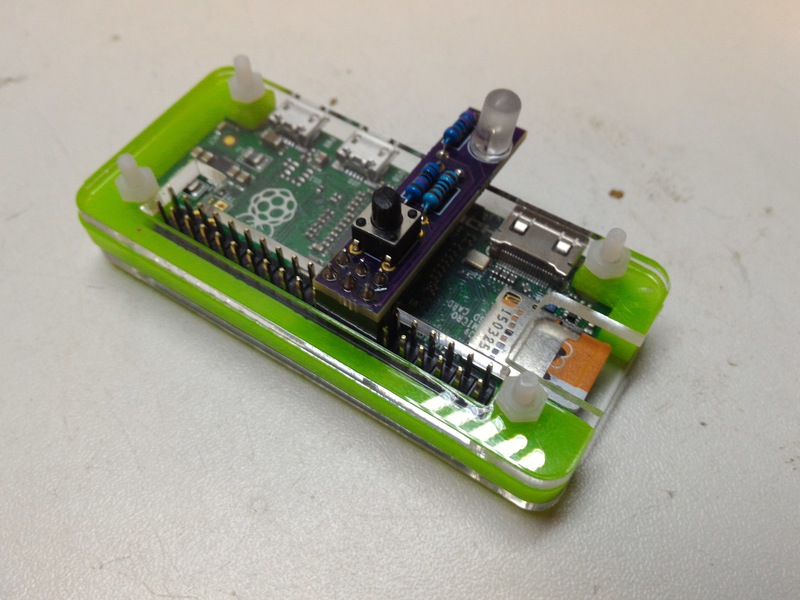 With the raspberry pi the GPIO is connected directly to he power rail and you can even power the pi from the GPIO pins like I did in my portable pi project.